Podcast SEO: waste of time, or great way to grow your podcast audience? Podcast SEO can feel overwhelming — you just want to share your stories and point of view with as many listeners as you are able. It can also lead you down some analysis paralysis rabbit holes. In this post we will help you understand what Podcast SEO is, why you might need it, and what some podcast SEO best practices are — all so you can grow your podcast audience. If you really want to nerd out and dig in to SEO in general, be sure to check out the Beginner’s Guide to SEO over on Moz. SEO is short for Search Engine Optimization. It’s a suite of black magic marketing approaches intended to increase the visibility of a website or other web property on a Search Engine Results Page (AKA “SERP”). Google and Apple Podcasts are the two largest as far as podcast discovery is concerned. Ideally, your podcast and/or episodes show up near the top of the search results for things your listeners are interested in. For example when searching for Geek News on Apple Podcasts, Geek News, the podcast Geek News Central from our CEO, Todd Cochrane, is the third result for Podcasts. Why Do I Need Podcast SEO? Content may still be king, but being the king of an undiscoverable kingdom isn’t really why you started your podcast, is it? Unlike that baseball movie, if you build it, they will only come if they can find it. There are many ways to build your podcast audience, from advertising, to events to good ol’ fashioned word of mouth. But ensuring your podcast SEO is following best practices is kind of like the old adage “fish where the fish are:” your podcast is the bait & hook and podcast SEO helps you cast that fishing line right into the middle of all those searches. So if you want a long-term marketing solution that will help bring an audience to your podcast, you need good SEO. You’ve got a podcast, or are about to launch one, and you’re wondering how to grow your podcast audience. No big deal, right? The good news is that podcast listenership is projected to grow at 15-20% per year for the next several years. The bad news is that because of the increasing popularity of podcasts and podcasting, there is a constant flood of new content. Cutting through that clutter to build an audience for your podcast is increasingly difficult. But it’s not impossible. And one of the most effective, long-term tools in your arsenal is to set your podcast up for SEO love. Optimizing your podcast for discovery follows a lot of the same technical factors that traditional SEO does. Which means that if you keep your audience’s interests–and how you can genuinely help them discover fascinating content that answers the question(s) they type into that search box–front and center, it’s pretty hard to go wrong. Humans beat crawlers in the long term: always write your titles, descriptions, and notes in way that answer a specific question an audience might have. Trying to game the system might get you clicks initially, but those audience members will quickly abandon your show if it’s not answering their questions. Put the keywords as close to the beginning of your title, description, and notes as possible. Remember that fishing analogy? Well, just like goldfish, audiences have short attention spans. Make sure you show them, right up front, that your show can help them. Use the right tools. Version 6.0 of PowerPress has some truly fantastic SEO tools built right in. There’s a great (short) article about using the podcast SEO tools built in to PowerPress over at Blubrry.com. Social media engagement has a direct correlation with search rankings. The more people engage with your podcast on the various social platforms, the more search engines like Google see you as a reputable source for your key topics/keywords. There’s more to SEO than just keywords. Design and user experience on your website and even podcast artwork play a role as well. If someone searches, clicks your link on the SERP, but then immediately leaves your site or stops your podcast, the search engines don’t like that. 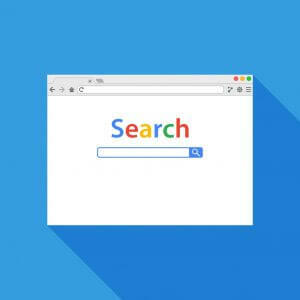 Their assumption is that the searcher did not find the answer to their question with you, so the search engines might not rank you as highly for those keywords anymore. But, what if you really did have great content in that podcast, it was just really hard for the searcher to find it because of how your website is designed? That’s a bad user experience design problem. Great news is that there are a bazillion website builder tools out there. 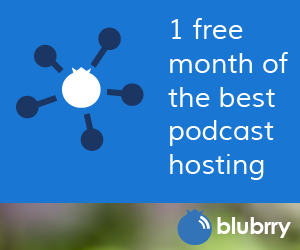 Blubrry offers PowerPress Sites, the most comprehensive, customizable podcast package available. Now you know what podcast SEO is, why you might need it, and some podcast SEO best practices. There are, obviously, plenty more you could do to improve your podcast discovery and increase your audience via SEO. We’d love to chat–hit us up on Twitter, Facebook, or if you’re a Blubrry customer reach out to one of our real, live, actual human beings in Blubrry Support.